I had the great pleasure of hearing Dane Sanders speak a couple of weeks ago at WPPI. It was a soul-searching presentation and I have thought on it every day since then. I do need to go back over my notes on it, but it impacted my life. Well, I just bought his audio book, Fast Track Photographer, and he’s allowing me to share the e-book version of it with up to three other people. So, I immediately thought of my beloved blog readers. 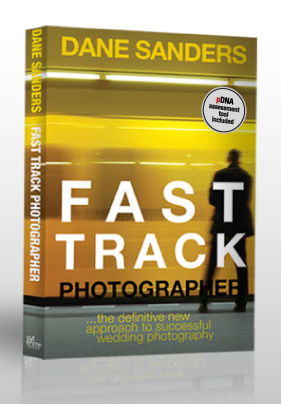 If you’re a wedding photographer or an aspiring wedding photographer and you’d be interested in receiving the e-book version of Fast Track Photographer, let me know by leaving a comment below with your email address. The first three to comment that they’d like the e-book will get it for free! P.S. Wow, only one smiley face today! That’s a record, I think.